Beauty Products are my jam! Love trying different makeup, products and techniques. Here are FIVE of my favourite that have become recent favourites. First off I love this company and their philosophy. Their products do not disappoint. My sister in law introduced me to their baby products (all natural but your baby smells like cake). I may or may not use their babywash still for my kids and sometimes for myself. Now I'm buying their adult products! This cleaning oil is great for the cooler months when the indoor heat dries out your face and you need a product to soothe and cleanse at the same time. I can't find it in Canada but I've bought a couple bottles at target to last through the winter. My eyelashes are skimpy little things and this helps build them up before my mascara. With a curler before, huge difference! I actually look like I have lashes. All the tweens, teens and twenty year olds (and Kim Kardashian) are doing it so I thought I'd give it a whirl. So far so good and I'm seeing subtle differences, though I do need to watch one of those Youtube Tutorials to give me the real DL. Again, one of the last people to get one and I would just use it dry until Amanda said it was used wet as well. Everything beauty is blended so much better-- hehehe. I used this last winter a couple times a week after reading about it on Biana's blog and will continue to do so! My skin gets very dry come winter time and this helps it so, so much. You can read about my favourite makeup here and favourite skin care items here. That's such a cute picture of the girlies! 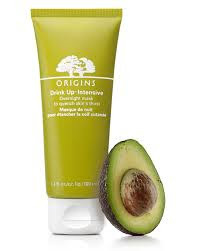 I really like origins products, I need to try that one! I hope you have a spectacular weekend! 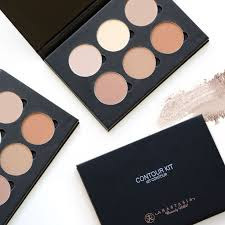 Love that blender and I really want to try a contour kit...I will look at that one! The beauty blender is my favorite tool! 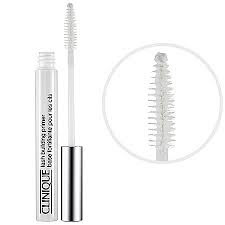 I use it damp too and it gives the perfect application! 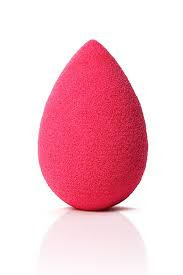 I love that beauty blender thingy...I need to clean mine this weekend. :) I have skimpy lashes too...if you ever want to try the new lash boost from rodan + fields let me know. I'm already seeing results after just a few weeks. Have a super weekend! I need to try that eyelash primer. I need all the help I can get in that department! I tried one of those beauty blenders once and I feel like I was doing it wrong. It made my makeup look cakey! I think I need to give it another try. I used to use eyelash primer but got away from it. Maybe I need to get more. I've never used a beauty blender. Curious to see how it works!! These products look amazing and that last photo of the girls is the best, ever! Hahaha!!! I hope y'all are having a great weekend! I love lash primers! They really do make such a difference. And I totally didn't know you were to use the beauty blender wet until awhile ago...whoops! Thanks so much for linking up! I need to try the lash primer! My lashes can use all the help they can get. Thanks for linking up!